She’s affectionately known as the little girl with the big eyes and bright personality to match. With her cheerful energy and infectious smile, it’s hard to imagine her difficult start in life. 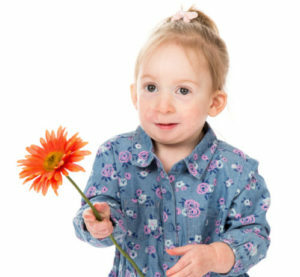 Willow was born with a blockage in her nose and her esophagus was not attached to her stomach. She struggled to breathe and she couldn’t eat. She spent the first 65 days of her life in the hospital where she had a feeding tube inserted into her stomach and underwent multiple surgeries to help her breathe properly. When her parents Brad and Arlene left the hospital they faced a whole new set of challenges. The Rehabilitation Centre for Children’s Feeding Clinic—which is funded by Children’s Rehabilitation Foundation—was the family’s guidepost in the years to follow. The team of doctors and specialists taught Willow how to eat, ensured she gained enough weight on a tube feeding schedule, and offered support and guidance every step of the way. This entry was posted in Children's Stories. Bookmark the permalink. Both comments and trackbacks are currently closed.